I pretty much managed to stick to last weeks plan, I did have to change our weekend meals due to changed plans and friends coming for dinner on Saturday night, but nothing that caused too much upheaval. Sunday - Burritos, made with leftover and frozen taco mince from the freezer (I'm trying out a new recipe idea, mushroom and lentil 'mince' for mine!) This was one of the meals I changed last week. Just in case you were waiting for the 1 chicken 4 meals post that I mentioned last week, I'm afraid that's been postponed as it was one of the meals which had to be changed due to our changed plans. 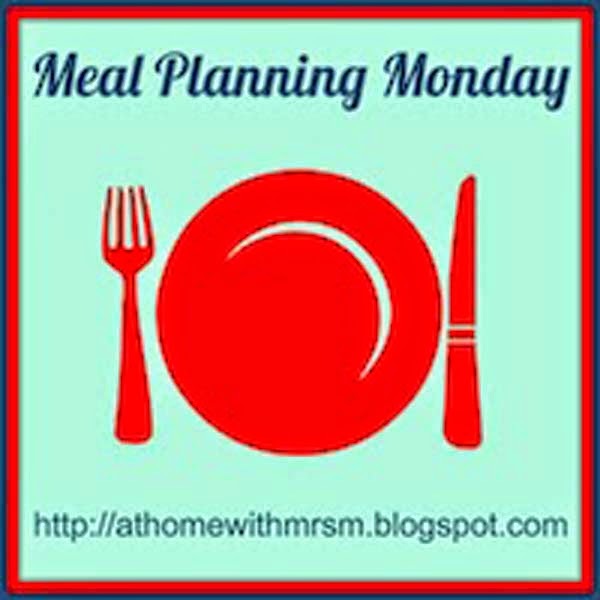 This post will be linked to Meal Plan Monday at athomewithmrsm.blogspot.com a lovely little community of homemakers and a fabulous resource for meal ideas! Great meal plan!! Everything sounds so tasty! !